While a lot of us have inhibitions about organic and natural beauty products, yet they can be allayed if we acknowledge the fact that organic products need a certification. “But there are hardly any organic lip balms in India and most of them cost an arm and a leg” would be your counter-point. W-A-I-T, there are and most of these lip moisturisers won’t even pinch your pockets! Want to know? 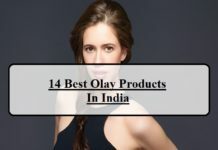 Go through the list of 15 best natural and herbal brands below and thank me for awakening the shopaholic in you for products that cater to your dry flaky lips! 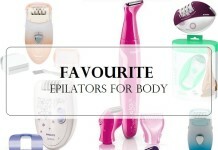 While a lot of us tuck away hordes of lip balms in our cupboards, bags, etc. yet do we realise that they aren’t supposed to be stored that way? Firstly, lip creams come laced with an alarming number of noxious chemicals. Secondly, what we put on our lips, works its way all the way down to our stomach. In other words, we are ingesting chemicals. So, what’s the solution? Like always, go organic because doing so means embracing a shorter shelf life of lip butters which are packed with nourishing natural ingredients. What are cafes for? Socializing, clicking selfies, having a whale of a time and unwinding while throwing caution to the wind. So, why not have a skin café too? That’s what SkinCafe, a Mumbai and Pune based organic lip-care venture does. 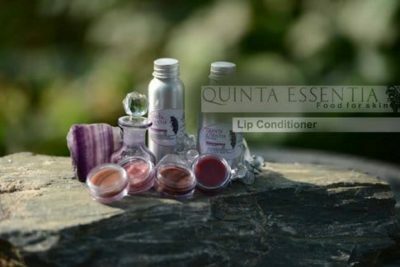 It treats your lips to wholesome, luxurious and drool-worthy natural lip tints, balms and scrubs. Cruelty-free, vegan, natural, organic, opting for fresh and premium quality ingredients… you name it and they have it as a part of their menu to pamper you. Want to unleash that sensual sultry mistress in you? Give it a shot without any thought. 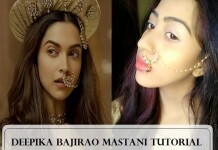 Perfect for warm Indian skin tones. Don’t lick it, first of all. Exhibit self-control. It leaves behind a delectable light brown tinge with oodles of coolness. 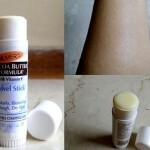 Perfect for warm Indian skin shade. No one needs a reason to grab a strawberry lip balm that too, if it comes from Skin Cafe. Perfect for all skin shades. Flirtatious, sassy, wild… blend these all and you have My Island Kiss- an organic lip care enterprise from the gorgeous locales of Goa. Spearheaded by Shaili and Siddharth and launched in Kodaikanal in 2015, My Island Kiss moved to Goa and is going strong with every passing day. “If you know where you come from, you can go anywhere” is the mantra these untameable souls live by. Strictly against nasty ingredients, petroleum, parabens, phthalates, sulphates and anything artificial, their lip moisturisers breathe into your lips. They have SPF 15- Beat that! Good news is that they are launching 2 more variants this October- Black Rose And Grenada Rouge as well as Flamingo Pink Peony. I see eyes dilate in ecstasy. The aroma, softness and luxurious feeling of rolling it on your pucker satiates the hedonist in you! Perfect for wearing every day without looking gaudy. Its natural vanilla fragrance takes to a different world. Show the world, your pucker lady. Hands down, the best out of the lot. It’s in a class of its own. The organic lip balm Scores full marks in every department. Standing for comfort in Sanskrit, Ida Naturals pampers one with hand-crafted bath and body treats. Based out of Bangaluru, it is helmed by Priya Iyer. Their eclectic range runs into cold-pressed soaps, body butters, lip butters, bath salts, hand creams and a lot more. For all Bangaloreans out there, there’s good news- Priya takes up soap-making classes in Bangalore. All agog? You’ve got your reasons after all. Its a very budget friendly Indian brand. 100% Herbal formulations is what they boast of and should, rightfully. 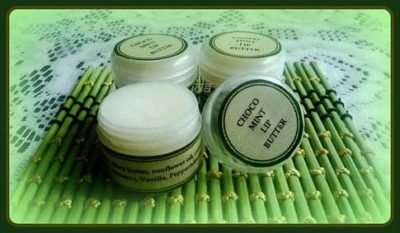 In my experience, Ida Naturals Choco Mint lip Balm deserves a special mention in my list of natural lip butters. A heady blend of chocolate with the cooling sensation of mint, this balm sends your lips and olfactory senses into a tizzy. It soothes chapped lips naturally within a week. Warning- Resist the urge to lick it. It’s enticing but is inedible. Remember that. Always! Handmade products crafted using certified organic ingredients by trained rural women with solicitude and joy in galore, La Flora Organics makes no bones about its practices. Based out of the picturesque Pondicherry (called Pondy affectionately by the locals) their lip balms quench one’s lips’ thirst for hydration and moisturization exceptionally. Spearheaded by the noble Mrs. Sithara Gerdes, it is owned by Anthara Crafts and works for the betterment of rural women. A sense of complacency arouses when one supports this herbal brand which takes its social responsibility the way most brands in India today, don’t. 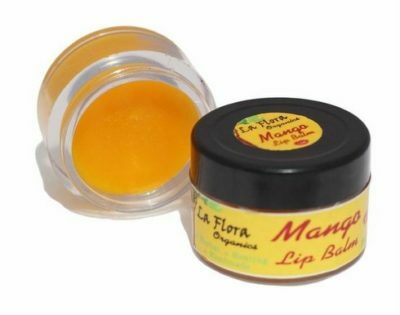 The Mango Lip Butter by La Flora Organics deserves special mention. Smearing it on your lips is akin to daubing raw mango pulp on your lips. Picture Katrina Kaif from the Slice advert! Warning- It may seem similar to gliding mango pulp on your lips but do not let the foodie in you take the better of you. Let’s not even get started about the aroma of the lip balm. It is simply put- unparalleled and of course, not synthetic. Based out of Dilwaon ki Dilli, Greenviv lives by the mantra of ‘Less is more’. Do not be appalled if you see only 5-6 ingredients in each of their products. The list of natural ingredients is complete and nowhere misleading. Their eclectic range of products encompasses sulphate-free washes, shampoos, cold-processed soaps and gels. Indulge whole-heartedly in them, ladies. I would recommend Greenviv’s Strawberry & Beetroot Natural Lip Balm as it imparts a comely pink-meets-maroon tint with long-lasting hydration without burning a hole in your pocket. Doesn’t it tick all the boxes of an immaculate lip balm? 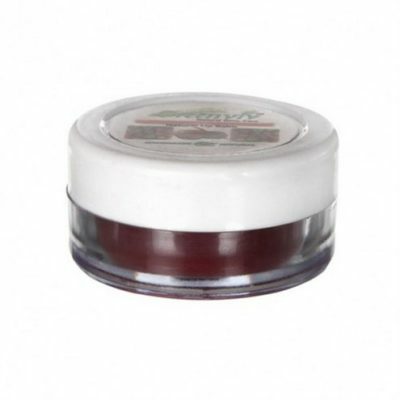 Pro Tip- Scrub your lips with Greenviv’s Chocolate lip scrub and then, glide their Strawberry & Beetroot lip balm. The end result will have you waxing lyrical of this novel brand. It is worth every penny you pay- mark my words. You’ll have Kendell Jenner vie for your plump pucker. Isn’t that tempting? 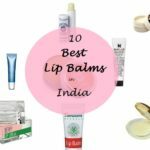 These are one of the most inexpensive herbal Indian lip balms. Another brand from Namma Bangaluru here- Aroma Essentials needs no introduction. Helmed by the obliging Madhurima Ramakrishna, their range is all-natural, vegan, budget-friendly and deeply aromatic. Period. What’s best is that they offer lip balms in both tub and stick packaging. You wouldn’t want to miss trying one from their tempting range, would you? I’d recommend Aroma Essentials Coconut Vanilla Chapstick for its aroma is riveting (attained by the addition of essential oils) and moisturisation (made up of unrefined butters) commendable. 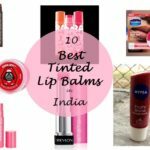 Since the lip balm is clear and not tinted, Indian men out there can give it a shot uninhibitedly. This one is certainly for both the men and women out there. Splurge whole-heartedly. 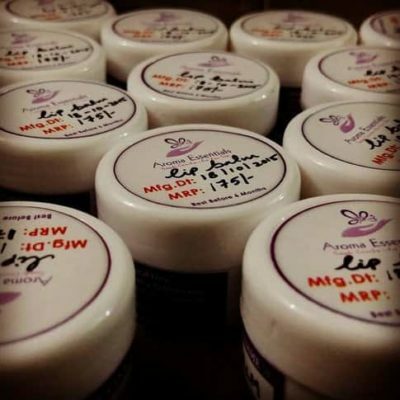 Again one of the top selling organic lip balms in India. Based out of New Delhi and helmed by Arti Gaur, Quinta Essentia Organics turns you into an addict. Once you get hold of their luxurious lip conditioners, chances are high that you’d discard all your chemical-laden lip balms to the trash point-blank. 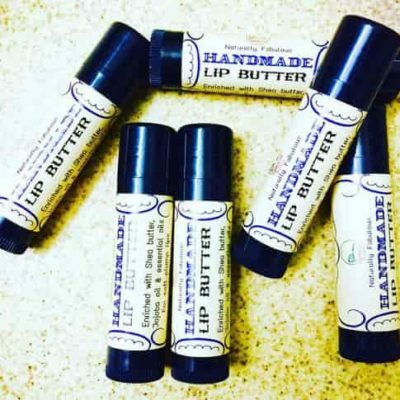 Deeply moisturising butters infused with therapeutic essential oils, they make no bones about their lip balms’ ingredients and composition. Not only that they spoil you with their range of luxurious butters, cold-pressed soaps, sun veil, serums and much more… I see the conscious shopaholic in you awaken. I’d recommend Quinta Essentia Rose Butter. Why? With zero greasiness, oodles of long-lasting hydration, a riveting aroma of roses and nourishment going on to your lips sans burning a hole in your pocket, this one’s a winner all the way. This lip butter is composed of food grade organic ingredients, so are assured that you are feeding your skin what can be very well fed to your body. If you thought Delhi has only Virat Kohli to boast off, think again. We have QEO too! 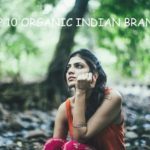 This is a brand that wears the word ‘organic’ as its name like an honour. OrganicMill, helmed by the effervescent Dishi Jain goes all out with furnishing what all they add in their products. With a strict ‘no nasties’ guiding mantra and no addition of chemicals and preservatives in their products, they earn brownie points as Dishi herself seeks timely updates on how her products have been working for her customers. Sulphates, parabens, phthalates, petrolatum, mineral oil, lanolin, linalool, coal tar dyes… you name it and they have all these nasty chemical ingredients stricken off their ingredients’ list already. Their range encompasses aloe vera gels, salves, compact powder, detox face pack, glycerine soaps, lip balms, scrubs, night cream and a lot more. They craft fresh handmade products too, so don’t limit yourself. Get creative and let her know what it is that you are eyeing! 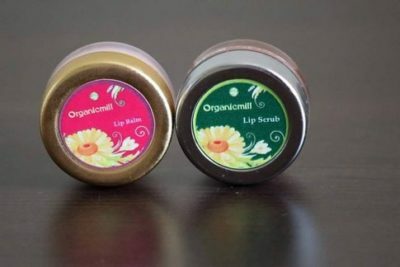 I’d recommend Organic Mill’s Peppermint Lip Balm whose softening ability is the best I have encountered so far in my test for the best natural lip balm out there. One week and your lips are healed no matter how chapped they are- mark my words. 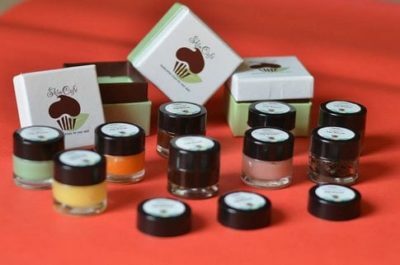 And their herbal lip balms are available in a number of mouth-watering flavours- strawberry, vanilla, orange, rose and lemon… It’s going to be tough for you to zero in on one for they all are tempting. Bindu Amrutham’s desire to craft safe, chemical-free, nourishing products for her new-born drove her to introduce an organic skin care brand. And eureka! We have Suganda today, one of the most trusted organic brands, whose range encompasses soothing organic body creams, cold-pressed soaps, anti-acne mask and an energising lip balms. I’d recommend Suganda Orange Lip Balm. Why? 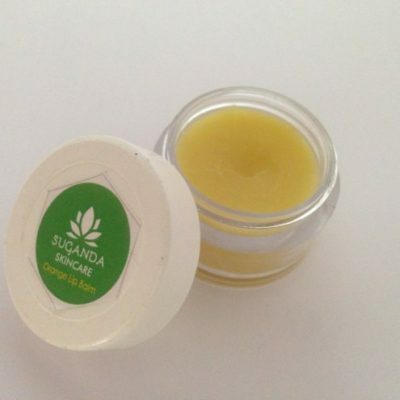 To the sweet and tangy flavour of orange, if you add some emollient butters which heal the dryness and cracks of your lips and a lingering aroma of calendula flowers, you will have Suganda’s Orange Lip Balm. It makes for an ideal base for lipsticks leaving you with a pucker that does not hold you back from pouting! Did I see the selfie-addicts cavort in bliss? Suganda is here to their aid after all. To top it all, if you’re interested in soap-making, Bindu is at your beck and call. She takes soap-making classes in Bangaluru. Get in touch with her to enroll and craft gems the way she does. PS- The lip balm is tint-less so, men may give it a shot without any inhibitions. The sweet aroma of oranges and calendula is highly soothing and won’t rile your olfactory senses at all. Mark my words! OM (absolute) and VED (knowledge), when combined mean- living in complete consciousness. Living by the mantra of a pure/natural/balanced existence, Omved’s products are the epitome of ethicality. Furnishing what all is added and what all isn’t in each of their products, their skin care range compels you to sit back and take notice. Based out of Aamchi Mumbai, they take their all-natural and chemical-free tags sternly. 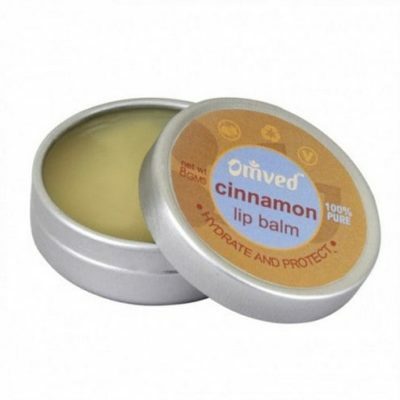 Give a shot to the premium quality Omved’s Cinnamon Lip Balm if your lips are battling pigmentation. And wait, there is more. In addition to allaying the pigmentation of your lips, it quenches their hunger for moisturisation. Sleep with it every night and flaunt a pink pout in no time. Their Mint lip balm is handy during searing summers when you want to cool your lips sans submerging it into a pool of chemicals. The former one, gets my vote hands down, however. To all the men out there feeling singled out, Raw Rituals is hearing. Based out of the Boston of India- Ahmedabad, they source materials and natural ingredients from places far and wide, craft with care, pack to perfection and pamper with passion. Infused with pure essential oils and unrefined butters, their lip balms are non-tinted, meaning men/boys can go for them uninhibitedly. 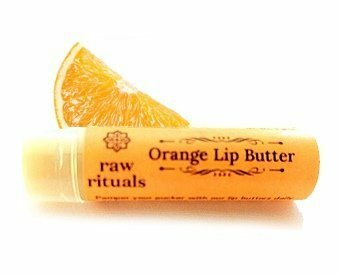 I’d recommend Raw Rituals Orange Lip Butter for it is sterling in hydration and tint-less. Boys, you’ve got your reasons to cheer now. Another herbal lip balm in India which ranks under bestsellers. ‘We Care’ is their tagline and going by how their all-natural lip balms fare for one, we cannot help but be in consonance with them. A Delhi-based brand, helmed by Dr. Mohit Bhatia, Fuschia needs no introduction. 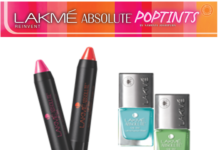 Their lip balms are free of parabens, synthetic scents, colorants and petroleum. With a diverse range spanning bath salts, face creams, moisturizers, cold-pressed soaps and many more to list, you cannot turn a blind eye to this 100% vegan, GMP certified and eco-friendly Indian beauty brand. 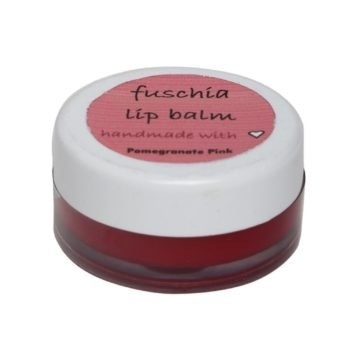 I’d recommend Fuschia Pomegranate Lip Balm as it leaves behind a subtle tint while soothing dry patches on lips effectively. To those who aren’t fond of going bright with their lips but not completely tint-less either, Fuschia’s lip balms range is a breath of fresh air. ‘Crafted with care’ is the punch-line of this vegan and organic brand from Chennai. At the helm of affairs is the alluring Mehar Farhana whose organic products sweep one of their feet. Be it cold-pressed soaps in a multitude of colours or sunscreens with SPF 50 (beat that! ), Amara Organix may be a new kid on the block but is going all guns blazing in their approach, ethicality and customer-servicing. I’d recommend Amara Organix Handmade Lip Butter. Enriched with Shea Butter, jojoba oil and other essential oils, this natural lip balm helps to conceal slight pigmentation convincingly. Those with slightly pigmented lips can cavort in euphoria. Born out of the need to provide safe, vegan and organic skin and hair care products that pamper and spoil you (you get addicted to them, duh) in equal measure, Burst of Happyness, based out of Bhiwadi, Rajasthan proudly asserts that no product of theirs bears an artificial fragrance. Give a shot to BOH Lucky Lips for if you have severely chapped lips that bleed if creased into a smile, this miraculous lip balm restores life into them the quickest. The best part? It’s not gender-specific. Boys and girls, indulge whole-heartedly. Operating from the magnificent Mumbai, The Nature’s Co boasts of a PETA (People for the Ethical Treatment of Animals) certificate. Cent per cent vegan and natural in their formulations, their herbal lip balms are a boon for those whose agenda is to moisturize their lips sans any colour/tint. With deeply nurturing emollient butters, moisturization is well taken care of. 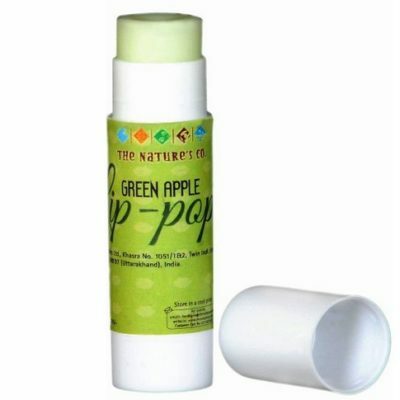 I’d recommend The Nature’s Co Green Apple Lip Pop. With a refreshing and novel fragrance of green apples unleashed on your olfactory senses and a smooth butter gliding seamlessly on your lips, you know that you are pampering your pucker well. Confession of the day- My first brush with lip balms happened I was in Class 8th (I was a late-bloomer). A friend of mine pulled out an eerie pink tube slyly from her pocket, swiped it frantically on her lips (school rules, after all) and tucked it away in her pocket with her eyes roving all over to allay potential danger (read: teachers) Eight years down the line and I indulge in chapsticks whole-heartedly. So which ones have you tried so far? And which ones roused the lip-balm addict in you? Let it out in the comments section. Which is your favourite natural lip balm? Share your reviews with us. Thanks, Manpreet 😊 I’m glad you liked it. Island kiss will launch two more flavours this October. Hi Nikita, thanks for scrolling through the list. Be assured about the composition of each of the balms. Nothing remotely harmful has been added in any of them. In case you’d like to know the ingredients of any balm, feel free to get in touch with the brand owners 😊 You can drop them a message on Facebook and they’d reoly to all your queries! Hope you enjoy the ones you’d zero in on finally. 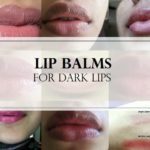 Thanks for sharing this list of lip balms, really it work. You’re welcome 😁 All of them work without pumping chemicals. And that’s what matters in the long run! 😜 Thanks, Archana. Other balms won’t disappoint you for sure. I have used Just herbs which is very good. Just Herbs is quite expensive for what it does, Dipika. “Most” of the balms mentioned here are not only effective but also reasonably priced so, keeping that in mind, there’s nothinf extraordinary about Just Herbs. Moreover, if the percentages are added in what’s furnished in its ingredients’ list, it doesn’t even come out to be 100. 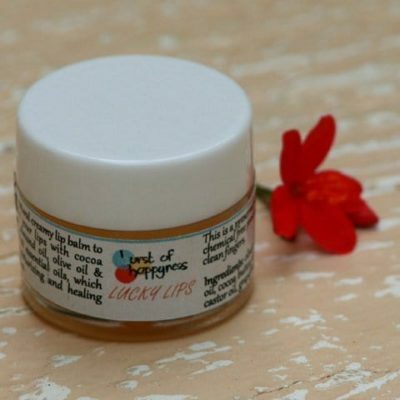 I’d like to clarify that the price of Burst of Happyness’ lucky lips (lip balm) has been changed from 90 INR to 150 INR. Which one is best for dark lips?